You’ve probably noticed I’ve done a few housekeeping things around here, like took the busy logo header off, and played with the columns. I’ve got to come up with a good logo soon. That’s something that I will play with down the road. Right now, a big Impact font header will just have to do. Now, on to the fun stuff! Yesterday, I was going through some older things and came across some crafting endeavors as a middle schooler. I had such aspirations as a tween to sew. I even joined the sewing club in at school. We would order these sewing kits out of a catalog and sew them up. 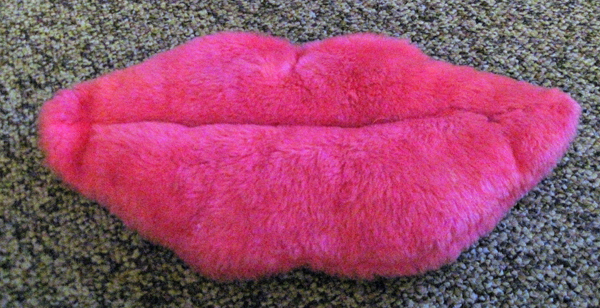 You could get all sorts of easy garments, bags, and stuffed animals, such as my pink furry lips here. Yup, these are from seventh grade! They were great kits. The instructions were printed right on the wrong side of the fabric. The places where you should make your stitches were even marked, too. I was happy to see that Haan Crafts, the company that makes those great kits, is still in business and catering to schools. What I was shocked to see was that they STILL sell the kit for those pink furry lips! 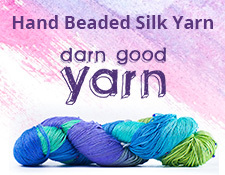 And they have a few other patterns still that I remember doing. I feel….old. If you have a child who wants to learn to sew, Haan Crafts is a great place to start. The kits are easy to understand and give a great sense of accomplishment when finished. I tried so hard as a kid to sew this stuff, but I was never any good at it. I would get so frustrated, but, I loved that finished project.